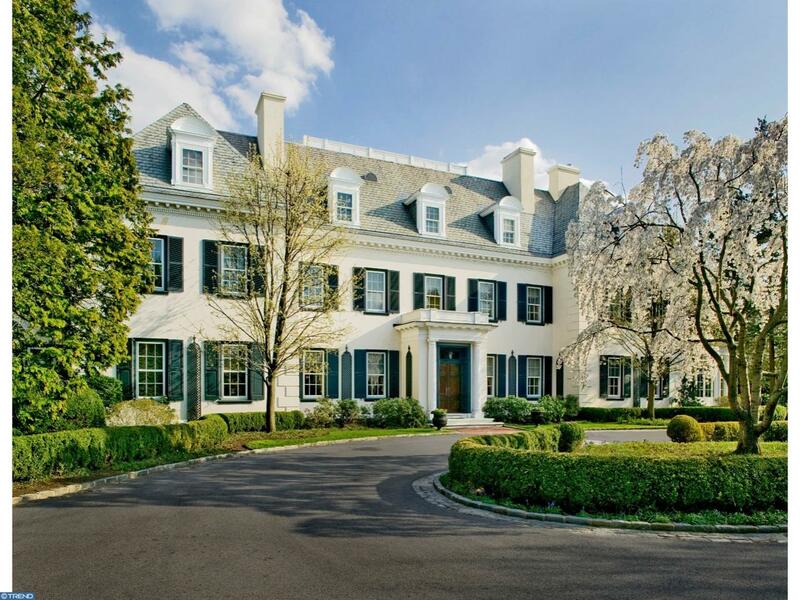 Constructed in 1910 under the design talents of Horace Trumbauer, Portledge was built by Theodore M. Cramp, the well known Philadelphia banker, for his daughter Mrs. Henry Vaux and her family. Originally set on 20 rolling acres the estate is now comprised of over 18,000 interior square feet on 3.13 pristine, private and manicured acres and remains one of Radnor's last remaining and finest estate homes. Georgian?Revival in style, Portledge is a rare blend of precise, comprehensive historic renovation with an eye toward today's family living. The current owners have maintained the elegant style of the interior while installing a contemporary kitchen and constructing an addition with a large, bright breakfast room. The expansive space of he home and open flow of the rooms create a wonderful entertainment environment. The lush landscaping surrounding the house provides a luxurious experience enhanced by the large mosaic-tile lined swimming pool and koi pond. Listing courtesy of Compass Re.